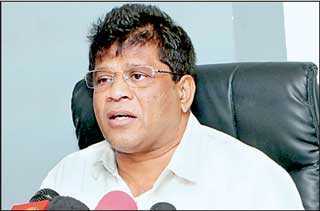 State Minister of Mahaweli Development and Environment Ajith Mannapperuma states that the Uma Oya underground hydropower plant will add 120 MW to the national grid by August. The water will be diverted to Kirindi Oya basin which will take water to Hambantota through the 25km long underground tunnel across the mountains in Bandarawela by creating a dam at Puhulpola in Welimada and a reservoir in Dyraaba. The water from the Puhulpola Reservoir to the Dyraaba reservoir will be flowed by a 3.9 km long underground tube with a radius of 3.7m. It will provide water for agriculture in Monaragala, Wellawaya and Hambegamuwa areas. Agriculture in the lower range of the Kirindi Oya Basin will also benefit from this water.